Features of MB: restriction analysis (incl. plasmid / linear DNA drawing), promoter, amino acids analysis, multiple sequence alignment tool (Needleman-Wunsch algorithm), dot plot, calculation of molecular weights and chemical properties of proteins, prediction of 3D structures for small amino acids sequences. Other features: estimation of isoelectric point for proteins and primer design. 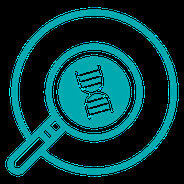 EnzymeX helps molecular biologists to determine which restriction enzymes they should use to cut their DNA of interest. In addition, it gives all the specific properties of these enzymes so that you can make sure that every digestion is a success. 4Peaks is a program that help molecular biologists to visualize and edit their DNA sequence files. At last there is a decent solution for analyzing trace files on the MacOSX platform, taking another step away from slow and non-native programs from the MacOS9 period. Also, 4Peaks supports most commonly used sequence file formats right out of the box, you no longer have to convert them first using AppleScripts or other painstaking methods. Analyzing your sequence was never so much fun! 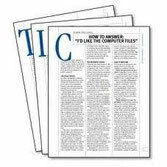 Key features: • Reading and writing of most common trace file formats. • Direct access to both sequence and translation. • Ability to edit and correct the sequence. Keep interesting parts only, or export your data as text or FASTA files. • Quickly search for a sequence or translation, navigate through your file by selecting pieces of either sequence or translation. RasMol is a free netwerk wich allows you to explore the structure of a molecule by "getting into it and climbing around". RasMol works well both for small organic molecules and for large ones, such as proteins, DNA, and RNA. DNAid is not a heavyweight package which will run your 'just-sequenced gene' through every prediction or analysis algorithm in the known universe." 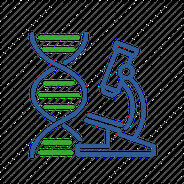 However, it is a very usefull application that allows to perform all the basic manipulations of DNA sequences such as restriction mapping, translation, reverse-complement and others, Freeware.